1. Make sure you’re getting regular tune-ups by someone qualified to work on the specific vehicle you have. Older vehicles should only be trusted to qualified technicians. 2. Make sure to wash your vehicle regularly as dust and dirt can hurt your paint job. 3. Try to drive your collector car at least once a month as your climate allows. A vehicle was made to be operated, and driving your collector car ensures that all the fluids are properly lubricating. You can also make sure it’s not overheating and the brakes are working correctly. 4. When parking your collector car, be sure to avoid parking on gravel or dirt. Doing so allows moisture to get into the car from the undercarriage and will cause the vehicle to degrade much faster than if it’s parked on cement. 1. Make sure you fill your gas tank and have your oil changed before storing your car for the winter. You will also want to use a fuel stabilizer to guarantee your car is ready to go come spring. 2. Thoroughly clean your car inside and out before storing to ensure food particles left inside the car don’t attract animals and to avoid small scratches if all dirt has been removed from the exterior. 3. 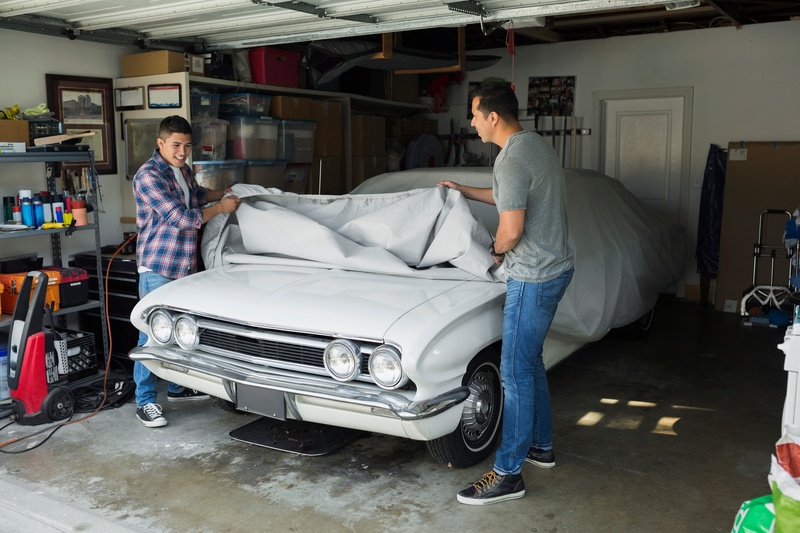 Use a cloth car cover, rather than a plastic one, to protect your vehicle. Plastic covers will trap moisture against your vehicle, which causes rust and corrosion. 4. Remove your spark plugs to ensure no moisture is trapped, as this will also lead to corrosion and rust. The most important storage and maintenance tip is to get proper insurance on your collector car. West Bend offers coverage on collector and antique vehicles as long as they meet our guidelines. We classify collector cars as vehicles that are more than 20 years old, and antiques as vehicles that were manufactured before 1950. Please contact your insurance agent for more information and to get a quote on your collector or antique vehicle. Author Bio: Jennifer Bischoff, personal lines product specialist has been with West Bend for 10 years. She has earned the API, AIS, and AINS insurance designations. She is currently working on earning her CPCU designation.